Due to the interaction among electrons, photons and phonons, the physical, chemical and biological properties and phenomena of materials, components and systems are significantly altered in the nanometer scale. Therefore, nanotechnology has created vast possibilities for new materials, devices, applications and measuring skills, which have great influences on photonics, computers, recording media, energy storage, medics, environment/resource, and chemical industry, and the like. 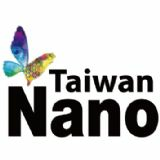 Starting from 2015, Nano Taiwan exhibition will be held concurrently with Photonics Festival in Taiwan.